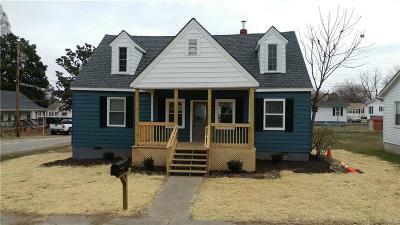 Completely renovated, move in ready, and yet the attic could be finished to add so much more room. Currently only the one level is finished, but the stairs to the second floor of this cape cod allow room for 2 more bedrooms or one HUGE room for so many options. The exterior sports a brand new front porch with new roof and massive rear deck, and a level corner lot, on a one way street with very limited traffic. Once inside enjoy the wonderful new kitchen, with tile backsplash and separate mud/laundry room. 3 bedrooms are all very good size and the new bathroom is simply stunning. 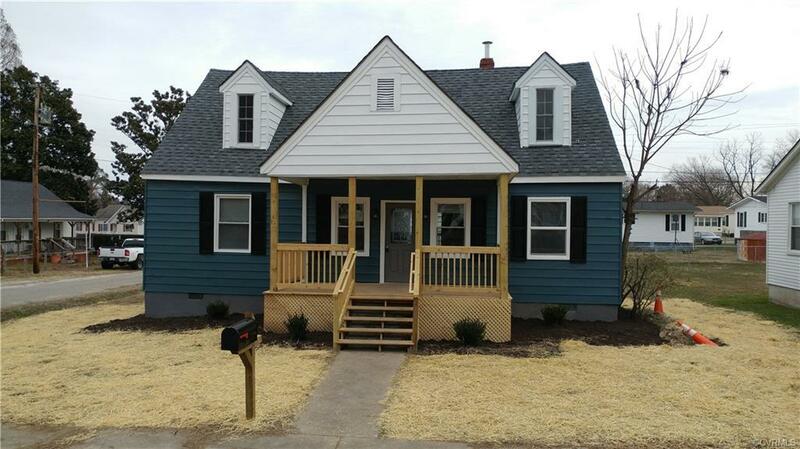 Brand new windows, painting, floors, kitchen, water heater, etc. This one will not last long. Easy access to Route 10 and I-295 and the James River. Directions: Route 10 East To Hopewell, Cross James River, First Right. 10th Is A One Way Street.